Alternate title: Puppy Update or Uppy Pupdate. 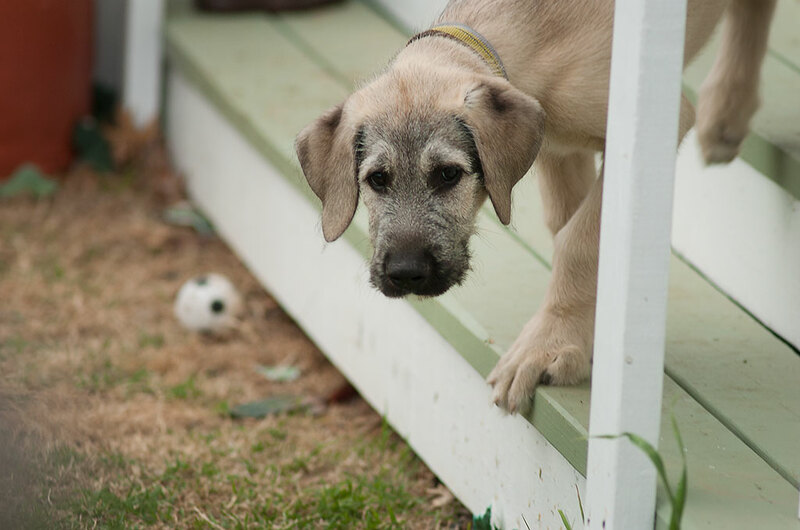 Readers will recall that my wife Abby and I got a new Irish Wolfhound puppy, Hawken Rifle Trail, March 7, two and a half weeks ago. 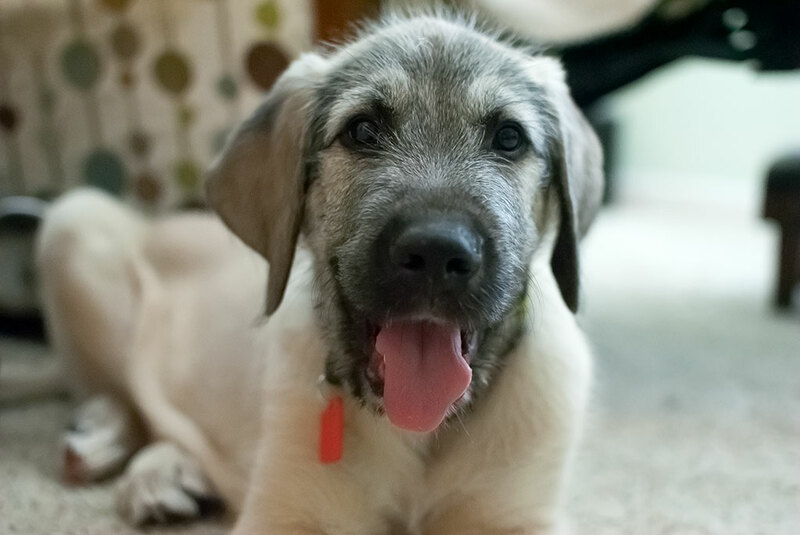 I don’t have any surprising news to report about him: he’s puppying along just fine. 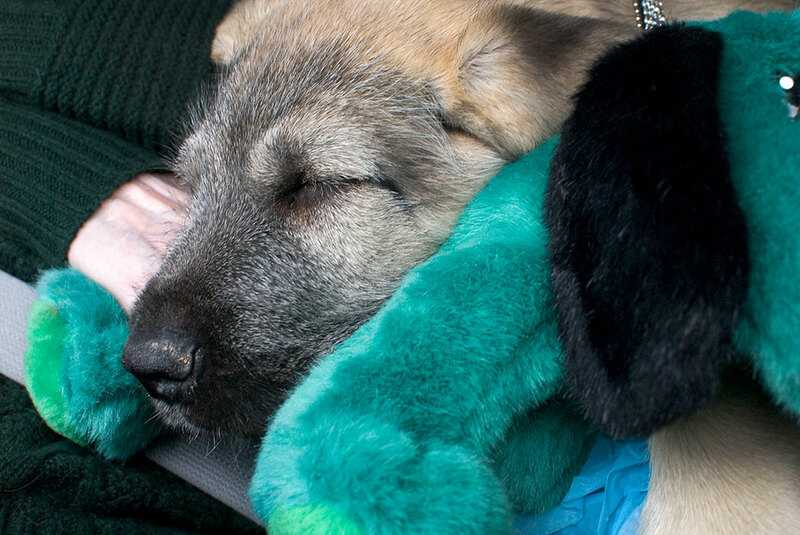 Hawked sleeps on a toy dog on the ride home from the puppy farm earlier this month. Hawken pants after playing in the house ten days ago. He steals Abby’s yarn and chews up newspapers. He thinks the Chihuahuas, Sierra and Max, should play with him, provoking them to growl and snap at him, which doesn’t discourage him. Yesterday I mowed the front yard with him on the porch, and while he didn’t like it, he also didn’t freak out. I’ve been digging up dead Rose-of-Sharon along the driveway, and he watches with great interest. Max and Sierra warily watch as Hawken derps across the living room. Max is now 13 years old, and Sierra is 12. 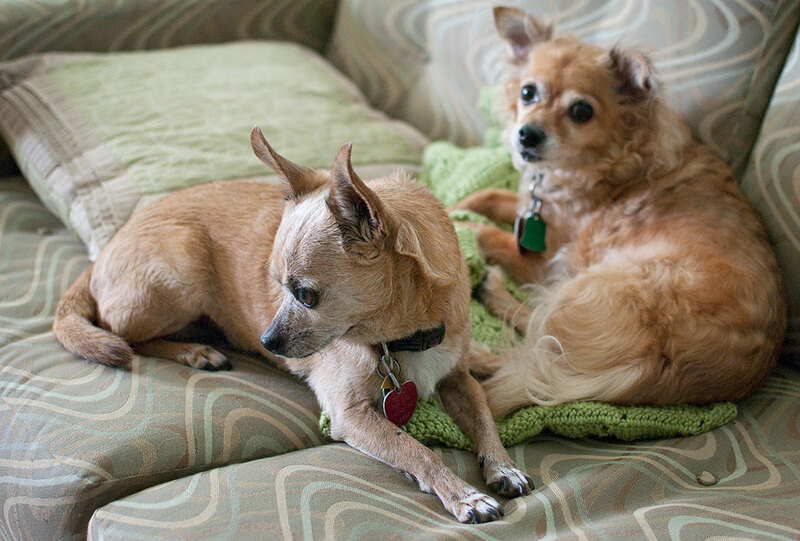 I haven’t neglected or forgotten the Chihuahuas, and Max remains my all-time favorite dog. So far, Hawken is a good dog. He knows his name, is starting to mind us, and loves us to pieces. Hawken watches as I leave for work this morning. As you can see, he is already starting to grow into his nose. It makes my lower lip tremble a little when I consider max and sierra’s ages.